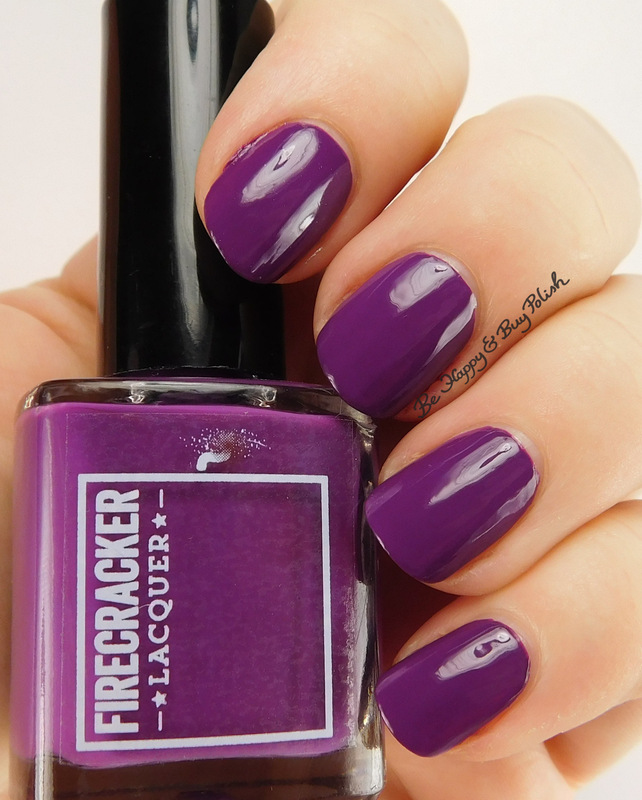 Posted in Indie Polish, Link Ups, Manicures, Nail Swatches	by Jessica W.
The Grape Beyond is a warm, red-toned purple creme nail polish. Shown here is 2 thin coats plus top coat, as it dries matte. I’ve used thin coats as thick coats make this polish a little unmanageable. You do need to let each coat dry well before applying another coat as otherwise you’ll have dragging. This is one of my first experiences with Firecracker Lacquer. I honestly wasn’t sure about this polish at first because I used thicker coats and it didn’t apply too nicely. I’m glad I tried again with thinner coats! This also was priced nicely for an indie creme polish – only $7.50 as of this writing. Makeup Obsessed Mom: What’s new at the drugstore? Stop by to see what’s hot now. Such a vibrant purple creme!